Available in sizes 30-36T, the Praxis Works MTN 1x 104 BCD Wave Tech Chainring is machined from 7075 T6 aluminum and are hard anodized. The Wave pattern tooth profile uses alternating lateral force to each chain link to actively retain the chain to the ring. 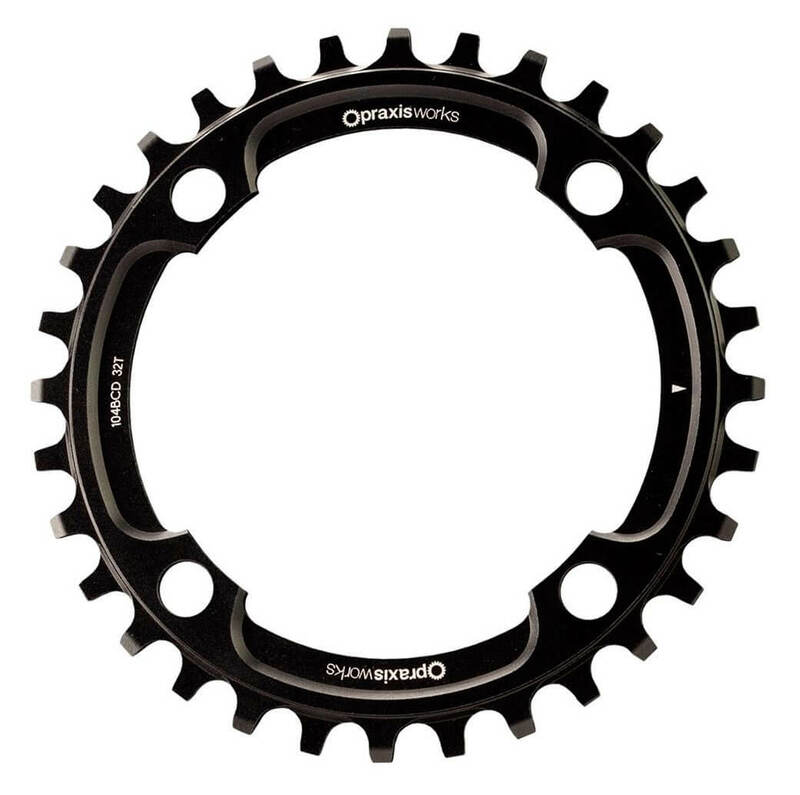 This design is superior to other MTB rings that solely use a narrow/wide tooth profile. PLEASE NOTE – 32T is the smallest ring that is compatible with power2max power meters.